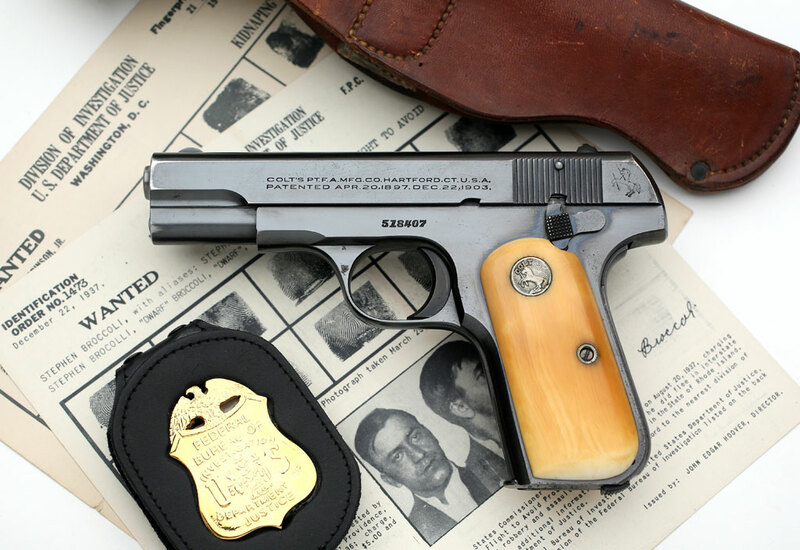 Colt Model 1903 Pocket Hammerless .32 ACP - serial number 518407, with factory flush medallion ivory stocks, was a single gun shipment sold to Federal Bureau of Investigation, Room 5524, Department of Justice, Shipped to Joseph A. Lorch, Washington, DC, on November 13, 1935, processed on Colt factory order number 15555/1. This pistol was ordered from the factory with a 4 lb. trigger pull. 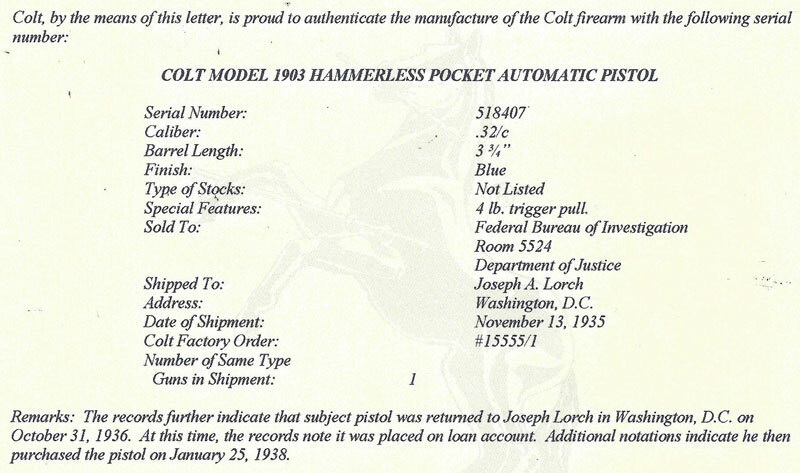 While the factory ivory stocks are not mentioned in the letter, they are correct for a 1935 vintage pistol. "The records further indicate that subject pistol was returned to Joseph Lorch in Washington, DC on October 31, 1936. At this time, the records note it was placed on loan account. 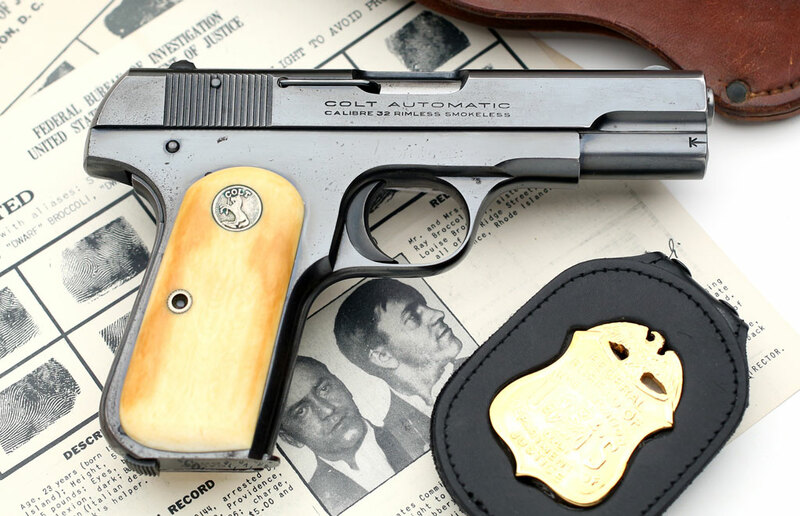 Additional notations indicate he then purchased the pistol on January 25, 1938." Colt Model 1903 Pocket Hammerless .32 ACP - factory letter. Colt Model 1903 Pocket Hammerless .32 ACP - serial number 518407, right side.